Schools and other organizations that serve children in Florida are able to take advantage of the powerful educational opportunity of Childhelp Speak Up Be Safe. 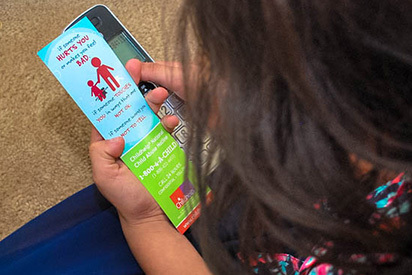 The engaging primary prevention program informs children about strategies to stay safe in any situation and helps build and strengthen communities devoted to their protection. Children and families in Florida can also count on the Childhelp National Child Abuse Hotline for help. The hotline is staffed 24 hours a day, 7 days a week, with professional crisis counselors who have access to a database of tens of thousands of emergency, social service, and support resources. The service is available to anyone with a telephone: children who face confusion, parents in despair, mandatory reporters and other adults who are uncertain about the next best step when faced with questions related to abuse and neglect.